TAMPA, FL – Empire Leagues Left handed pitcher Mitchell Hillert has been selected by the Irish National Team to represent Ireland. Hillert, is a two year Empire League player who started his career as a rookie in the Empire Leagues 2017 season with the Puerto Rico Islanders pitching nearly 50 innings and striking out 37 batters posting a (4-3) record. He would sign once again out of camp in 2018 with the New Hampshire Wild. 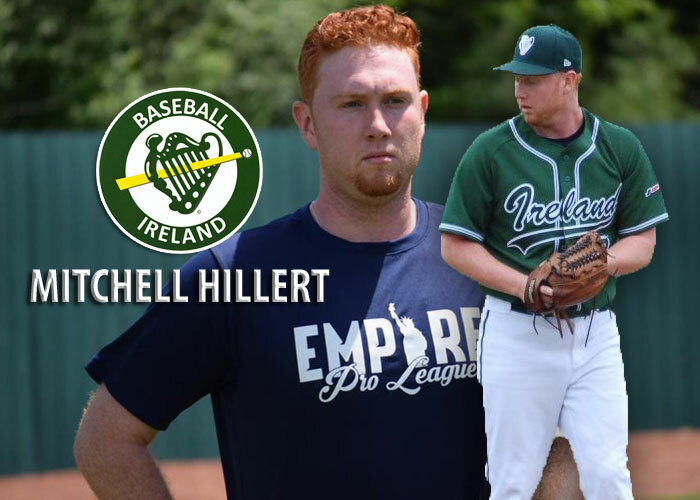 Hillert pitched 27 innings striking out 20 batters before departing to Ireland for his first selection in the World Level of competition. Hillert joins an elite group of Empire League Players who have moved on to play at elite level of professional baseball.